Daily Harvest smoothies have become increasingly popular, as they offer you a quick way of getting all the nutrients you need in a lovely cup ready to enjoy in minutes. This post aims to answer all of your questions about Daily Harvest smoothies, from the content of the cups to the price. All Daily Harvest smoothie cups are filled with nutritious goodness. They contain organic, non-GMO veggies and fruit, nuts for proteins, and super-cool superfoods. From well-known, delicious ingredients like blackberries, blueberries, bananas, mangos, and cocoa to the more exotic ones like blue majik, reishi, triphala, and camu camu, you’ve got them all in your pre-portioned, single-serving cups. All you need to do is add liquid of your choice, soak, heat or blend, and enjoy. Quick, tasty, and incredibly healthy. If you are used to flavor enhancers of all sorts and strong artificial aromas, you may need some time to begin appreciating the gifts of nature. However, once the artificial taste is out of your system and you realize how good it feels to eat healthy, all-natural food, your taste buds will start craving the wonderful natural flavors. Daily Harvest picks the fruit and vegetables at peak maturity, when they are most nutritious and delicious, so if you like organic food, you are sure to love its smoothies. Daily Harvest has an in-house nutritionist who is in charge of creating cups that feature an optimal balance of nutrients. The nutritionist makes sure that the smoothies contain exactly what your body needs, nothing more, nothing less. The chef is there to make the smoothies taste great as well, so you get to enjoy healthy food that your palate loves. Now, this is a tricky question. Daily Harvest does not sell its products within a certified weight loss program and it does not guarantee that you can shed extra pounds if you enjoy its smoothies. 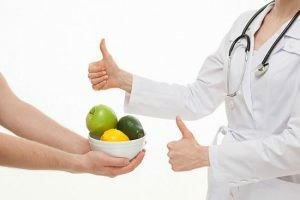 However, keeping in mind that they are designed by a nutritionist, they do contain the right amounts of valuable nutrients. Combine that with premium-quality, organic, non-GMO ingredients, without any refined or artificial substances, and you get smoothies that are perfectly good for your body. Losing weight is more than having a couple of healthy smoothies during the day. Still, if you do not eat anything that is bad for you in between smoothies and pair healthy meals with physical activity, you have a great base for getting your body in excellent shape. Actually, they are not, especially if compared with the smoothies offered by Daily Harvest competitors. They also cost less than the ones you would whip up yourself. Think about the time it takes to find such high-quality ingredients and the usual prices of organic produce. Plus, the produce does not come walking into your kitchen, you have to get it yourself. Unless you are a certified nutritionist and a chef, you would need to work on your skills and knowledge in order to make the smoothies as good as the ones Daily Harvest offers. On the other hand, with Daily Harvest smoothies, the ingredients do come neatly packed in cups and get delivered straight to your doorstep. Another thing to bear in mind is that shipping is always free. For full pricing details, check out the Pricing section of our Daily Harvest review. Daily Harvest is an organic meal delivery service that makes eating healthily easier and more convenient than ever. It brings you pre-portioned cups filled with flash-frozen, delicious superfood goodness, ready to eat in minutes. 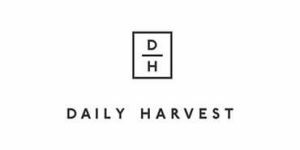 Read all about Daily Harvest in our detailed analysis and view the User Reviews section for more Daily Harvest reviews.